This is Egg-tarian recipe. This is best meal for breakfast. This is so simple and delicious recipe. 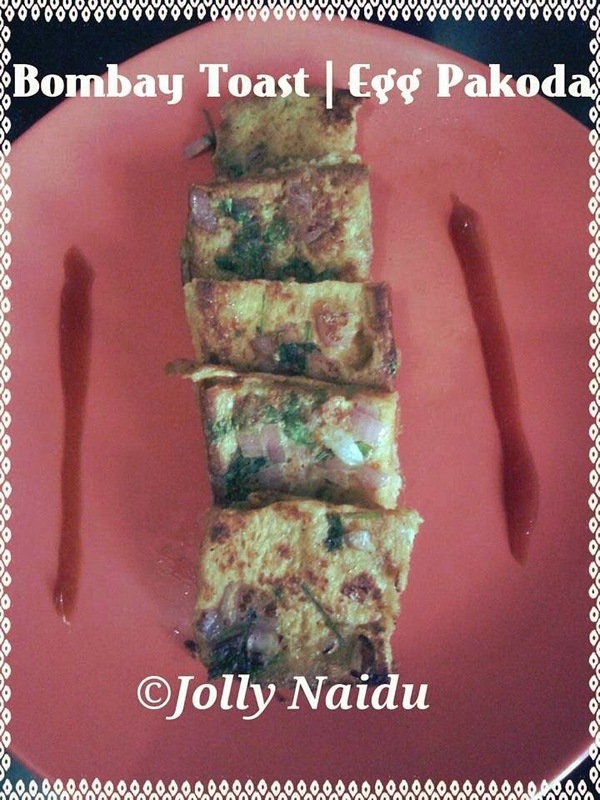 This is also called Egg Pakoda toasted with butter and other veggies & less spices. Those who loves Egg and doing differ-differ creativity with them. They should try this also. 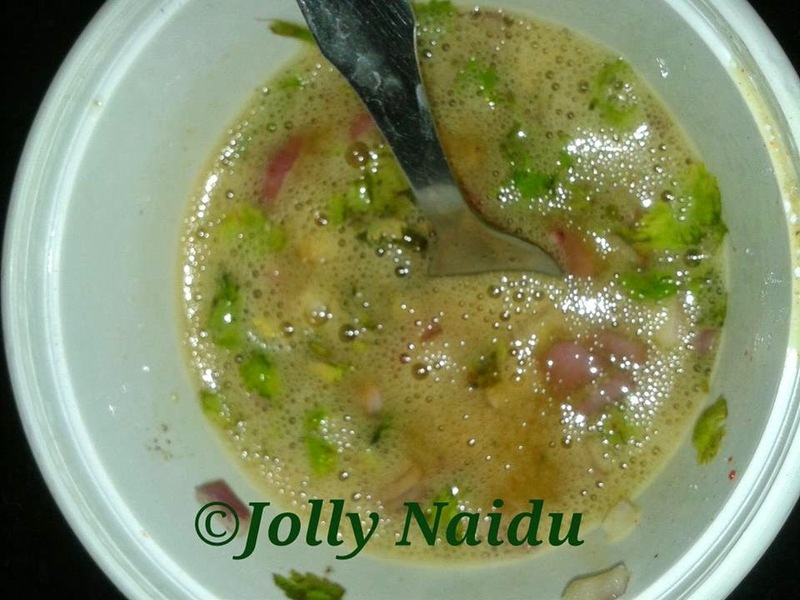 Chopped Onion - 1 nos. 2. Heat 2 tbsp. of butter in a frying pan/tawa. 3. 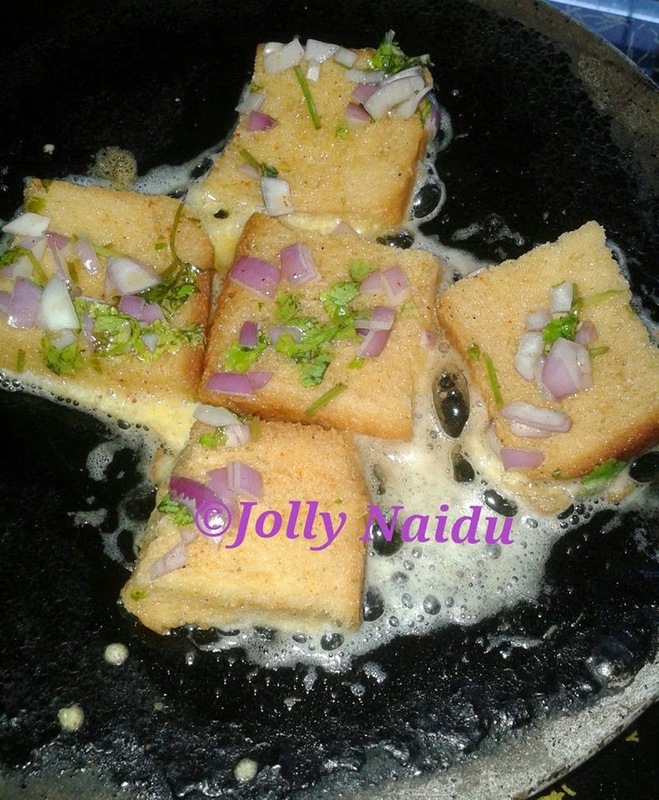 Dip bread slices into egg batter, coat well on both sides of the bread slices with the egg batter and fry on both side until brown and crispy. 4. Repeat with other remaining slices of bread and the egg batter. 5. Serve with any soup, tea, cold drink or ketchup ! !